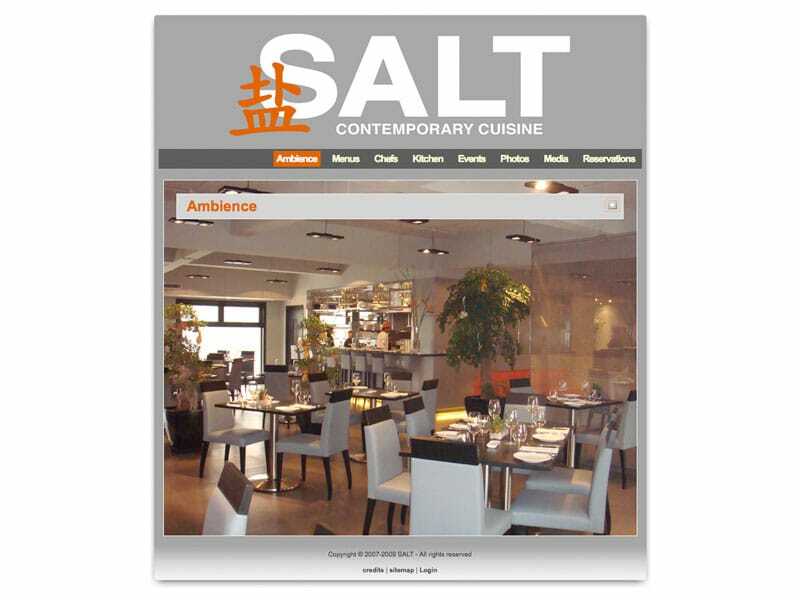 During their early days SALT Restaurant Beijing only had a temporary website online with a picture of a map and their contact details. We were asked to give them a proper usable website that they could use to change their menus, upload photos, add staff profiles, etc. and give it the look and feel of the restaurant itself. We used an existing WordPress theme and heavily adapted that to reach the desired result. The site is image heavy with a different image for every page and a slider that slides the content up to reveal the entire picture underneath. 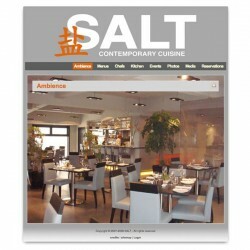 We used the blog part, that comes standard with WordPress, to post SALT’s latest events, gave them lots of photo albums and added SEO.